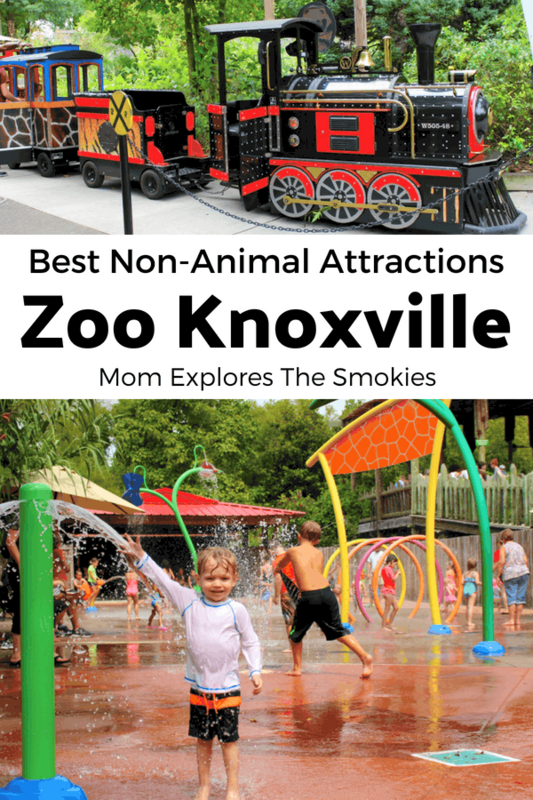 When you’re out for a long day at Zoo Knoxville, it’s nice to be able to break up your animal viewing with some more hands-on fun, especially if you have kids. These 7 non-animal attractions offer a variety of kid-friendly fun both indoors and out to help take your zoo trip to the next level! 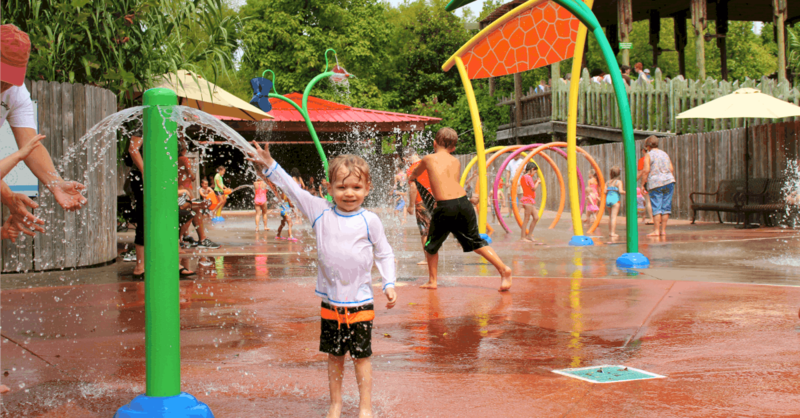 This fantastic splash pad has a variety of spray features to delight kids of all ages. There is a nice section to the left, that is filled with smaller sprayers perfect for young toddlers. The rest of the splash pad is filled with more adventurous water sprayers including water tunnels and high-shooting spouts. This is the sweetest little section of the whole zoo. 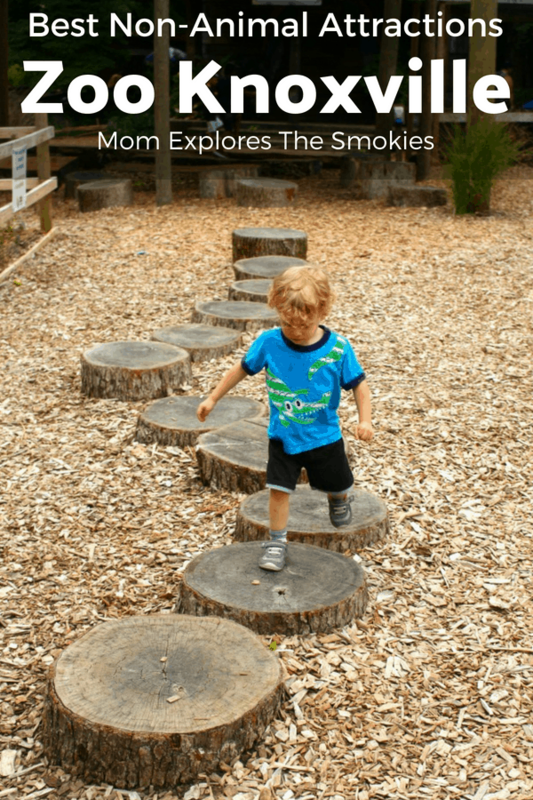 This fun natural playground features a variety of climbing, jumping, and swinging structures. There is also a fabulous giant wind chime made out of bamboo. Kids can make music by running through the chime with their arms extended. They also have a food garden in this location where they grow fresh food for their animals. This adorable little train ride, located just across from the meercats, is for elementary aged kids and younger. The train, featuring a real conductor, follows a simple loop track giving kids a short but delightful ride. The cost is $3 per rider. Although I don’t think this was the intention, this play structure reminds me of a giant dinosaur tail. Kids can climb through a dark tunnel to reach the top of a large tunnel slide. There are also additional stairs and another tunnel for climbing. This is the perfect place to bring kids when rain is threatening to ruin your visit. It is located in the Wee Play Adventure Area. Zoo Knoxville’s kid-friendly research lab is also indoors, directly across from the jungle gym. This area features a variety of scientific samples and tools to examine them including magnifying glasses and a microscope. There are also a variety of stuffed zoo animals for pretend play. This is located in the Wee Play Adventure Area. 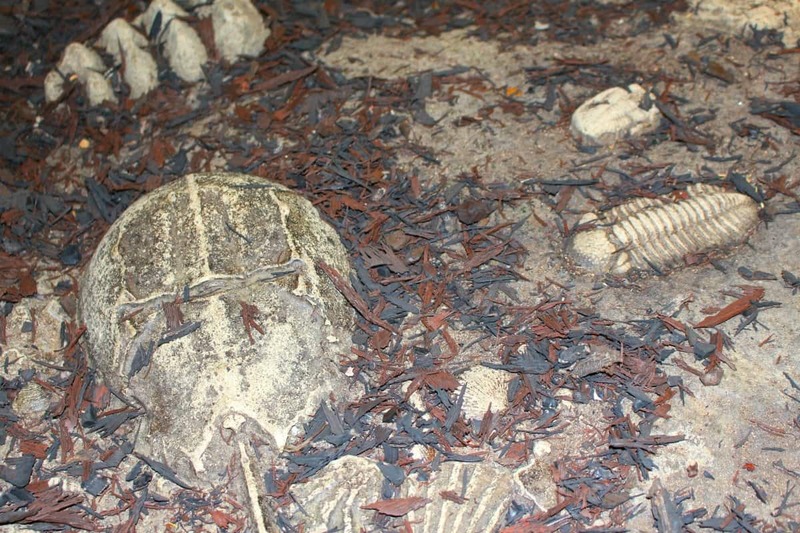 Located indoors between the research lab and jungle gym, this simple but fun attraction features a variety of cast fossils in a mulch and sand table. Using the provided brushes, your kids can unearth the world’s next great discovery! This is located in the Wee Play Adventure Area. Located in the kids’ zone, this awesomely huge sand pit comes complete with all the fun digging supplies a kid could dream of! The kids’ zone also features a variety of kid-friendly animal attractions including a petting zoo where they can pet and brush goats, and an aviary where kids can walk among the budgies. Knoxville Zoo hosts a variety of special events throughout the year, many of which are free with paid admission. The free Touch-a-Truck is one of our family’s favorites. The also offer great paid events like their not so scary Boo at the Zoo, which features a variety of Halloween activities and trick-or-treating! Annual pass holders typically receive a discount on tickets to paid events. All events can be found on the zoo calendar.